Sacramento State is California's capital university. The campus community is diverse, dynamic, and welcoming. Sacramento State is the university of doing, a perfect fit for those who want to take their education beyond the classroom. Here is where students come to realize goals and aspirations greater than even those with which they came. Your future begins and belongs here. 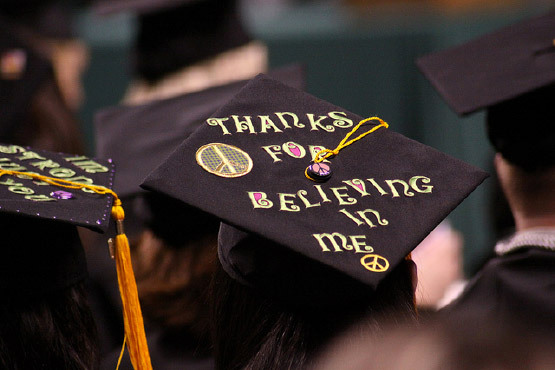 Each year, more than 7,600 students graduate from Sacramento State. The University offers one of the largest and most comprehensive ranges of degrees, programs, and career opportunities in California. Our alumni – one out of every 20 area residents – are passionate, engaged, and driven to make a difference in their communities, their lives, and the lives of those around them. Sacramento is one of the most diverse cities in the world, and Sacramento State, too, is a melting pot of peoples, passions, and ideas. Whether you're looking to get involved in the community or are seeking adventure, Sacramento State campus life has something for you. There are more than 300 student clubs and organizations on campus, and more than half of the student body belongs to at least one. Find one that fits you. The University Union hosts dozens of events each semester through UNIQUE Programs, which brings top music concerts, movie screenings, speakers, and more to the Sac State campus. See what's coming up next. Featuring towering rock-climbing walls, state-of-the-art workout facilities, intramural sports leagues, and more, The WELL is our students' one-stop shop for health and fitness on campus. Want to get out and explore the natural world? Associated Students Inc.'s Peak Adventures is for you: The program offers backpacking, snowboarding, rock climbing, and many more excursions for thrill-seekers and novices alike. In the past decade, the Hornets have won more Division I titles spanning 21 intercollegiate sports than any other school in the Big Sky Conference. Become a part of this winning tradition this semester. Located at nearby Lake Natoma, Sac State's world-class Aquatic Center lets students get out in the sun with watersports of all kinds, including kayaking, sailing, and windsurfing. Come out and dive in today. Nestled along the American River just east of downtown, the Sac State campus is a true urban oasis, covered with a canopy of trees spanning 300 lush acres. Students can take advantage of vast grassy quads, biking and hiking trails along the river, and beautiful architecture and public art throughout campus. Buildings and pathways are well-lit with an emphasis on safety. Schedule a visit to see for yourself. Sacramento State offers a world-class education at the lowest cost of any four-year university in the region. Students come from all 50 states and all over the world seeking a transformative experience. With nearly 800 scholarships awarded each year and extensive financial aid available, Sacramento State is more accessible than ever before. A degree from Sac State is an investment in the future, the return on which has never been greater. When students first set foot on the Sac State campus, they become lifelong members of a vibrant community more than 200,000 strong. Our graduates stay engaged as alumni, as Hornet sports fans, and through the professional careers that began in a Sac State classroom. No matter where our #MadeAtSacState alumni go, they remain a part of the University and stay Sac State strong for life. Your future is just a few clicks away. Take the next step and schedule a tour, come visit us, and learn about the application process. Become a part of the transformative experience that will shape the rest of your life. See what your future holds at Sac State.